Will 'Happy Endings' power couple get a third season? What's it like being part of one of the funniest married couples in primetime? "Damon and I are very close in real life too, and we have so much fun together," said Eliza Coupe ("Scrubs"), who plays Jane to Damon Wayans Jr.'s Brad on ABC's "Happy Endings." "I feel like he and I, really more than anyone else, are like a little machine. [We go] back and forth [joking], and we're like that off-camera too. Damon and Eliza are just dirty birds - they make Brad and Jane look like Puritans." 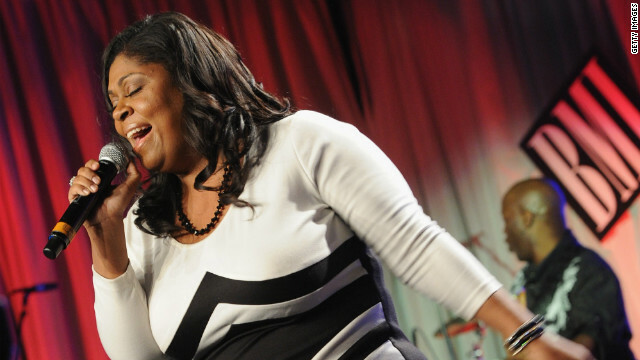 Although Whitney Houston died of an accidental drowning on February 11, the coroner's report released last week notes that cocaine was a contributing factor - news that shouldn't be a huge surprise, says Houston's good friend Kim Burrell. "To me, it's being presented like, 'Can you believe cocaine was in her system?!' I mean, the world saw her come out of rehab from being accused of that," the gospel singer tells HLN's "Showbiz Tonight" in an exclusive two-part interview airing Wednesday and Thursday. Houston had openly struggled, Burrell continues, noting that the entertainer "did interviews about that. She admitted. Anybody could look at the interview she had with Oprah – the last one she had - and not be shocked that some kind of drug was in her system. She admitted to that, so it's just unfortunate that it was in there when she died." Twentieth Century Fox's sci-fi comedy "Neighborhood Watch" was set to release this year long before Sanford, Florida neighborhood watch member George Zimmerman shot and killed 17-year-old Trayvon Martin in what Zimmerman says was self-defense. But in light of Martin's February death, the studio is now trying to emphasize what the movie is actually about ahead of its July 27 release. 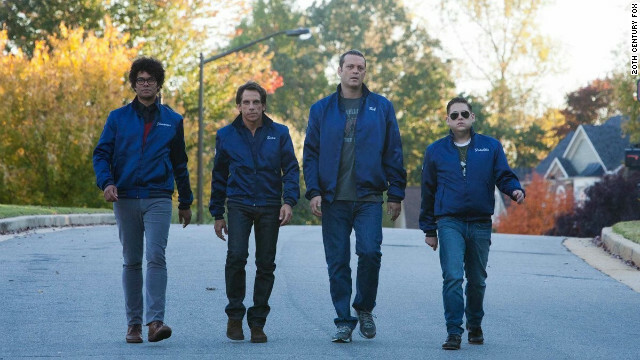 Starring Ben Stiller, Vince Vaughn and Jonah Hill, who also co-wrote the film, "Neighborhood Watch" is about a group of dads who form a neighborhood watch team in hopes to get time away from their families, only to uncover an alien invasion plot. With July 20 bringing "The Dark Knight Rises," the final installment in the Christopher Nolan/Christian Bale trilogy of "Batman" films, fans have wondered if Liam Neeson (whose Ra's al Ghul character was killed in "Batman Begins") would make another appearance. ComicBookMovie.com noted that the production notes for Neeson's next film, "Wrath of the Titans," included "Dark Knight Rises" as one of his upcoming projects. 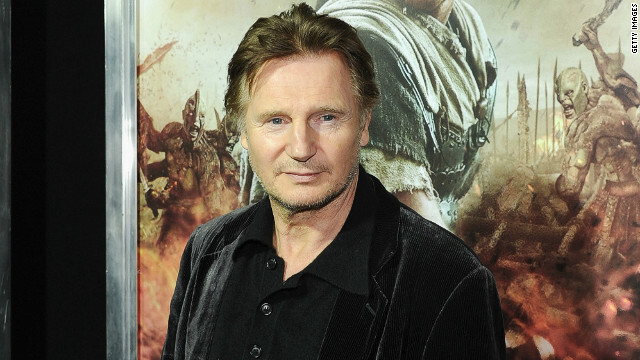 CNN recently spoke with Neeson at the press junket for "Wrath of the Titans" to clear this up, and to see what Neeson knows about the film, which has been shrouded in mystery. 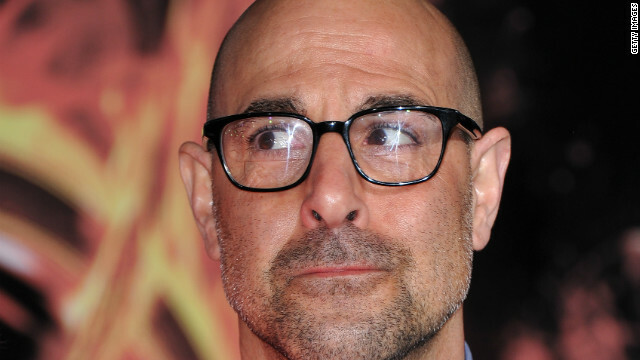 Stanley Tucci lining up post-'Games' role? A “Hunger Games” star may soon hear strange voices. Stanley Tucci, who plays Caesar Flickerman in this month's blockbuster adaptation, is said to be in negotiations to co-star in the pending film “Your Voice in My Head” opposite actress Emma Watson. According to Variety, Tucci was approached to play the terminally ill psychiatrist of a young woman who attempts suicide after a terrible break-up with a prominent journalist.